A major automaker that denied any wrongdoing in response to a negligence lawsuit must now explain, in court, why it is not responsible for causing the Plaintiff’s asbestosis and asbestos related pleural disease. A judge has rejected the company’s argument, ruling in favor of the asbestos victim who says he was continuously exposed to asbestos while working on and around asbestos-containing brakes supplied by the automaker. “The court should deny-in-part” (automakers) “motion for summary judgment with respect to” (automakers) “liability for Plaintiffs injuries allegedly caused by asbestos-containing brakes.” Further, “Plaintiff has presented sufficient evidence that” (automaker) “supplied original asbestos-containing brakes; and that Plaintiff was exposed to this asbestos when he performed personal automotive work on his first wife's new 1970” auto manufactured by the automaker. The action also states that the defendant’s motion for summary should be denied-in-part because the Plaintiff provided sufficient evidence that the automaker knew that its brakes contained asbestos and it had a duty to warn about the dangers of asbestos in its automobiles. Based on the decision, the negligence and failure to warn asbestos lawsuits are able to proceed. Though asbestos is regulated in the U.S., it is not banned. In fact, the manufacture, importation, processing and distribution in commerce of dozens of products is still legal. Among these products are numerous automotive parts such as clutch facings, disk brake pads, drum brake linings, brake blocks, automatic transmission components, gaskets, and friction materials. As a result, the EPA has published warnings and safety recommendations for auto mechanics. For detailed safety guidelines, visit the official EPA website. If you have been exposed to asbestos, please see your doctor right away. 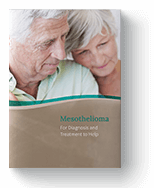 There is no cure for mesothelioma. However, early detection could lead to better treatment options and outcomes. "Current Best Practices for Preventing Asbestos Exposure Among Brake and Clutch Repair Workers." EPA. Environmental Protection Agency, 21 Dec. 2016. Web. 06 Feb. 2018. District of Delaware. United States District Court, 12 Dec. 2017. Web. 06 Feb. 2018.